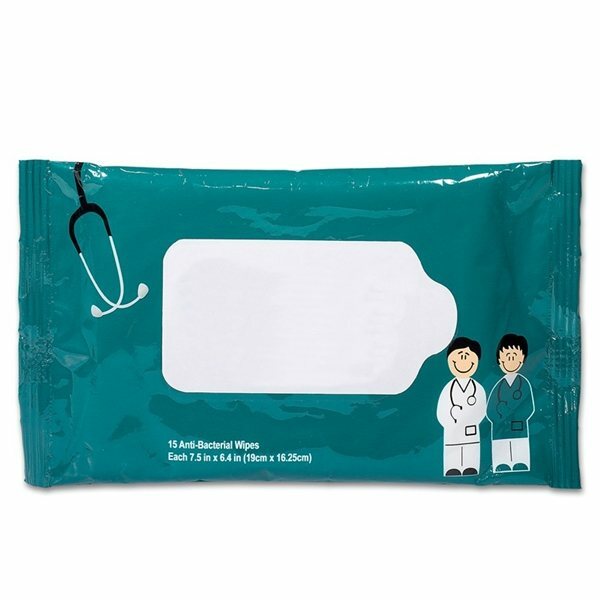 Antibacterial disposable wipes in a re-sealable foil pouch . 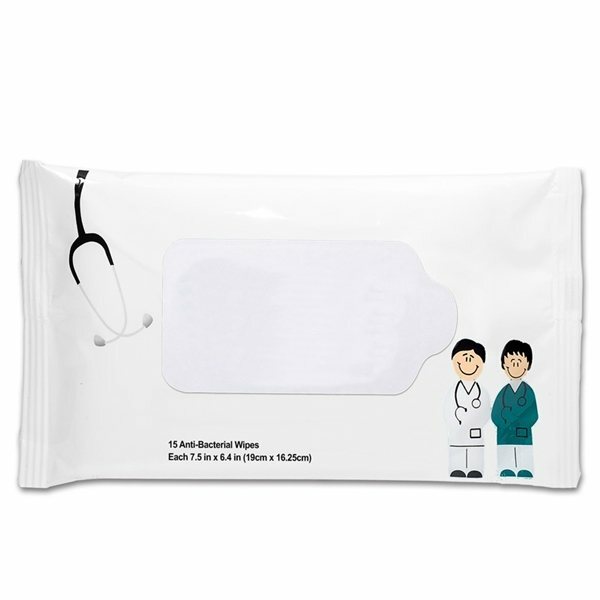 Each pouch contains 15 wipes and meets FDA requirements! I liked the gift box that came with our orders. Clients were very impressed with this one. Everyone enjoys the product and we find it a great way to keep the foundation name in front of people. Obviously on time delivery and product quality is important but Rosa was excelent answering all my questions and clarifying all my doubts always in a very nice manner and very professional. 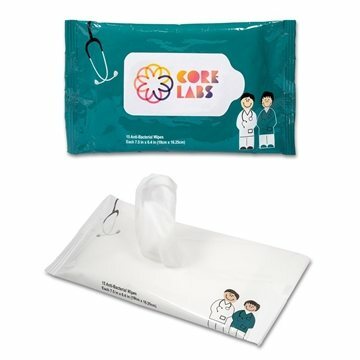 One of my favorite promotional items! Our cusomters loved these, especially the kids! Purchased them for a fair in the past year. They were very popular and I purchased them again this season. Our logo design looks great! Creates a pleasant giveaway and everybody likes them. We liked that it was good shaped.